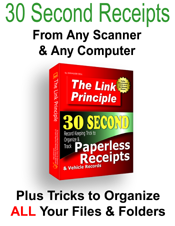 Did you ever wonder what lies beneath your QuickBooks® file? 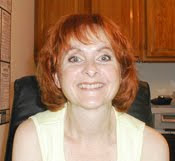 The columns and rows of QuickBooks® tables may surprise you. QODBC makes viewing this hidden information a snap. Even if you never plan to exchange information between QuickBooks® and Microsoft® Access using QODBC, seeing what lies beneath gives you a better understanding of your data file. Once you see how quickly QODBC works and how easy it is to use, you may decide to step outside your comfort zone a wee bit and write your own QuickBooks® add-ons. This post provides quick results with minimum effort on your part. Are you ready? Let's go! The code below retrieves QuickBooks® field names for given tables. You need field names to create SQL strings to extract data from QuickBooks®. You type the SQL string into the SQL Design View window in Microsoft® Access or in your code. Do not worry if you do not understand this or know how to do it. Just keep reading and you will get there. This is a simple query that asks Microsoft® Access to retrieve all the data from the QuickBooks® customer table. You absolutey may use this query. Simply replace customer with other table names. You need never become any more complicated than the above query. However, all the data means names, addresses, phone numbers including data you most likely do not care about. Retrieving fields you do not want wastes time, especially with a long customer list. Knowing what fields you want lets you limit results and save time. 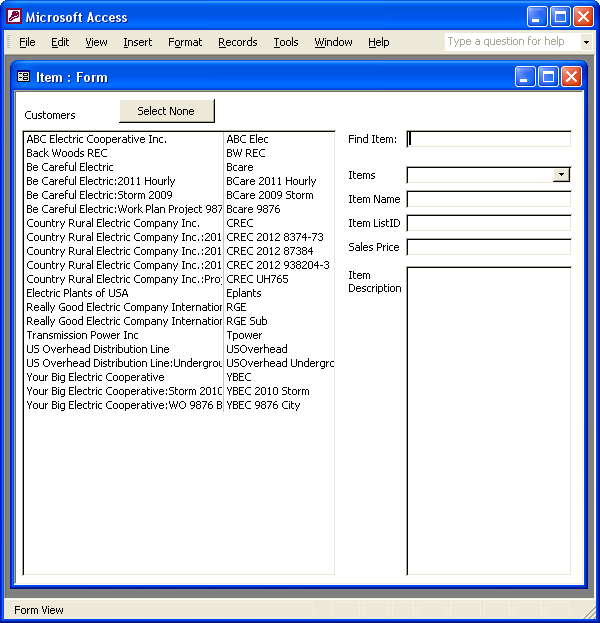 For example, perhaps you need a list of customers for use in your Microsoft® Access database. The field names QuickBooks® uses internally often differ from the field names displayed to you. For example, Name, FullName, CompanyName and ParentRefFullName are all customer fields. You need to know which field you want. If you plan to link database records to QuickBooks® records, you need to know the field names for the ListIDs in each table. The customer table, for example, contains: ListID, ParentRefListID, CustomerTypeRefListID, TermsRefListID, etc. Do not dismay at the odd sounding field names. After you play with the tables for a while, you will notice a logical pattern to their construction and no longer need to look them up. Copy and paste the code below into the Visual Basic editor of the new module you created. Type: GetQuickBooksTable into the Immediate Window. You may need to close the Visual Basic Editor to view the query results in Microsoft® Access. If this is your first time using code from VBQuick, you need two functions. These functions let me shorten codes for you by performing simple tasks like deleting temporary tables and queries and creating the QODBC connection string. You should place them into one module so you can import them into new databases for use with other VBQuick codes. 'create the QueryDef and give the name you decided earlier: "temp"
The name of the table will contain the prefix: tbl. For example, if you import the customer table, the new table's name will be: tbl_customer. Double-click the table to open and view the results. Enjoy making your tables and please let me know how this worked for you.